This video is a fire pit build with JD Brewer using a plasmacam cnc plasma and a Lincoln 210mp welder. This year is almost over and a lot has happened in 2016. I met JD Brewer at Fabtech in Chicago and we started working together. I moved my PlasmaCam table to JD's shop so that we can both use it more. I met Jimmy Diresta and worked on a project with him and JD. And now am looking forward to lots of videos showing welding projects and the work that JD does for local industries. 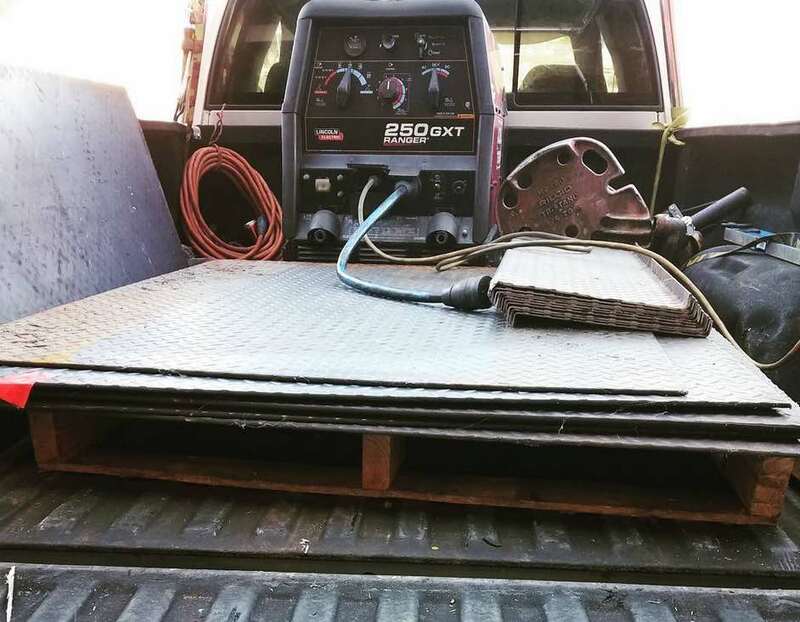 1/4" thick steel tread plate is kinda overkill for a firepit but "theres no kill like overkill"
JD posted a pic on his instagram page @apexish of some tread plate that he was able to salvage from a job site that was going to scrap it. And Wyatt would get to weld on his own fire pit so how can you beat that? This is JD's favorite welder to carry to a job site. And he uses it quite a bit in the shop as well. For heavy shop work, JD uses his powermig 256. 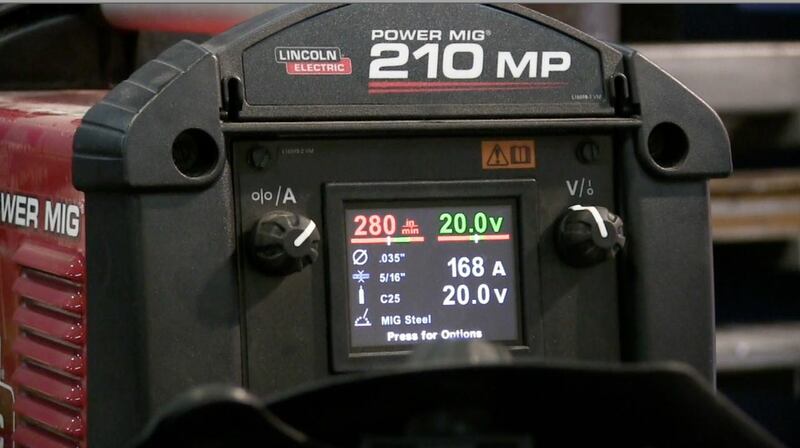 He uses the 210mp for lift arc tig for root passes in pipe and for socket welds, and also bare wire mig and dual shield flux core because the 210mp runs well off generator power and thats a very important thing when you go on site to unfamiliar territory. Mezzanines, piping, hand rails, hoppers for plastic blow molds, ladders, tanks, ...whatever it takes to keep a factory running to avoid down time. 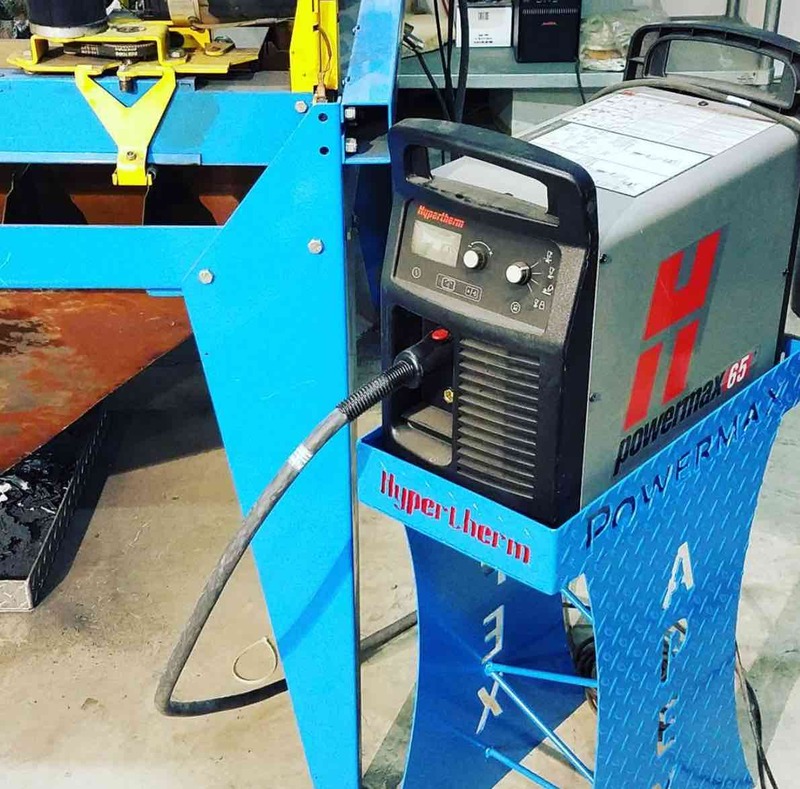 Being able to carry a 40 lb welder on site that does lift arc DC tig, Stick welding, mig welding, and flux core welding gives JD a lot of options in one machine. In JD's words "options make me money"
JD and I are still learning the software for the plasmacam but it is pretty easy to get started and do a project like this fire pit build. Hopefully we will dig in deeper and post more videos showing the ins and outs and tips we learn along the way to help folks learn along with us. I have really enjoyed working with JD this year and look forward to more projects we can collaborate on. Here are some links to previous Videos I have worked on with JD Brewer.